Hey all! 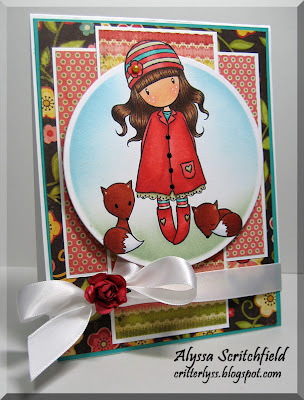 Alyssa here with a little masking and sponging card for you. I recently purchased some of my favorite inks - Tim Holtz Ranger Distress - in Bundled Sage and Tumbled Glass (you so gotta love the names of these colors!). I've been stamping/coloring/obsessing in this little hobby of craftiness for a little over 3 years now...all this time, I've been trying to avoid these inks and oh.so.fabulous tools! I have finally caved and am so delighted that I have! 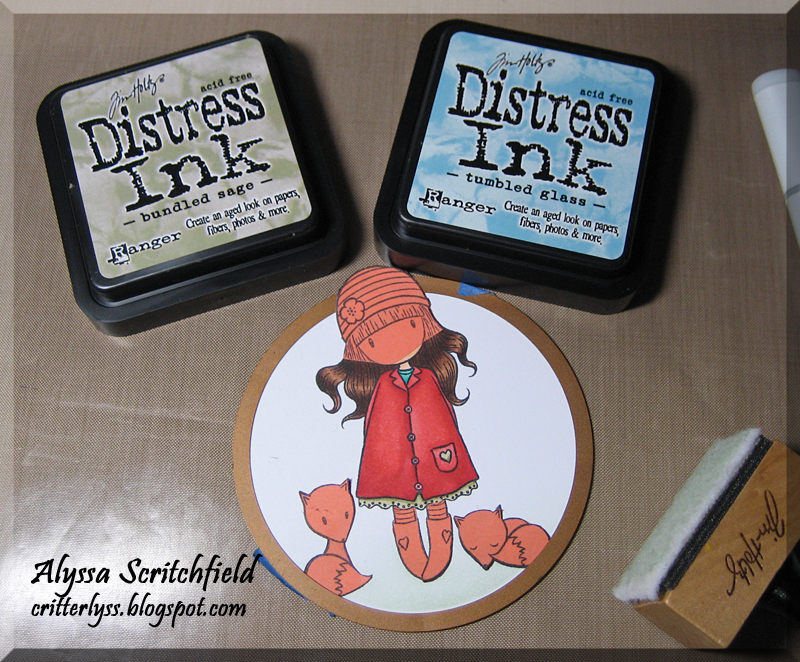 I highly recommend investing in the Distress Inks...not only do you get amazing coverage on both rubber and clear acrylic stamps, you have the ability to emboss with them and get gorgeous results sponging with them! 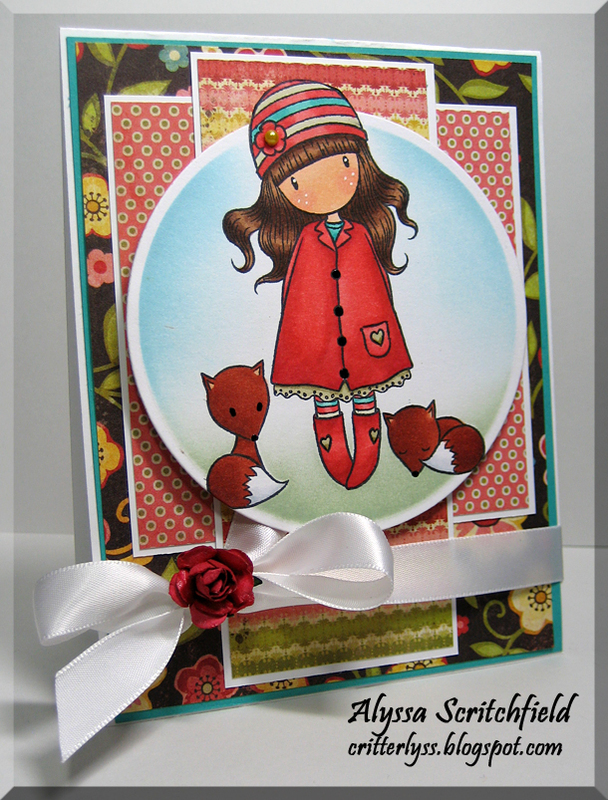 This little darling is the Little Foxes set of the Gorjuss clear stamp line. She and her pals are stamped in Memento Tuxedo black and colored with, what else?, Copics! After coloring and cutting, I decided I wanted to give my new inks a go, so I stamped various parts of the image on post-it notes and trimmed just inside the black lines. I was able to slip this mask inside the die to get a full coverage...gotta love how I always plan ahead! LOL I then sponged away with the two colors to the depth that I desired. 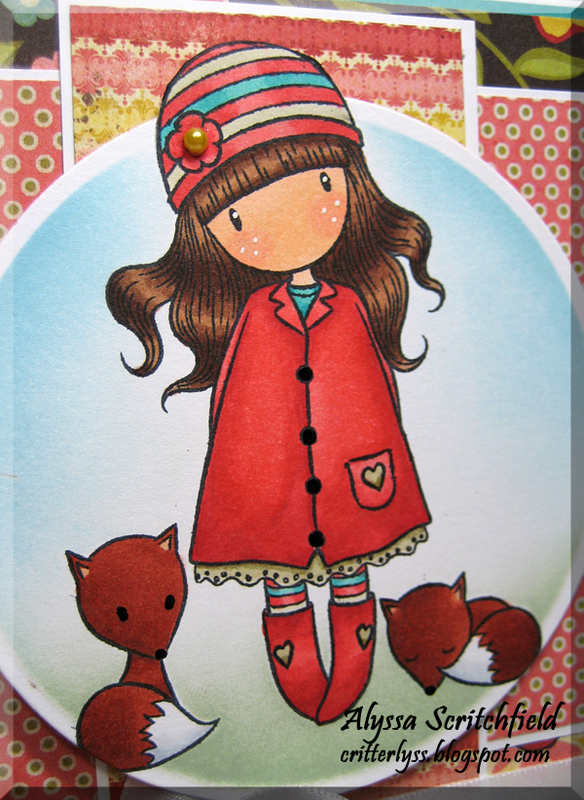 TIP: I always use Painter's masking tape to secure my die to the stamped image from the back side. You don't want your die to slip while you're sponging and lose that crisp white border! Once you pull away the die and the masks...viola! I love this technique you have shared with everyone. 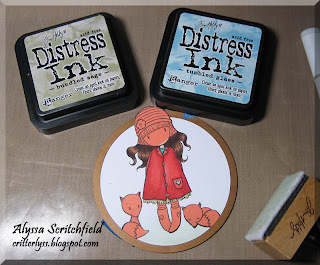 I have both these distress inks and will have to give it a go sometime soon.